This entry was posted in America America Immigration USA Immigration and tagged Migrate to USA US B1 Business Visas US B1 Business Visitor Visa US business visa US Business Visa Eligibility US Business Visa Requirements US H1B Visa on February 4, 2015 by Blog Author. The United States is a dreamland for immigrants who flock to this wonderful nation to either study in its well-reputed colleges and universities or to work here and enjoy great prerogatives like better job opportunities and good pay scale. The US economy has a booming history which has remained stable for decades. This has allured many businessmen to come to the country after acquiring a B1 Business Visitor Visa. 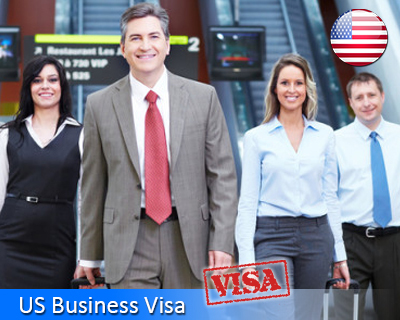 This visa category is given to individuals who are traveling to the United States on business purpose. The B1 Business Visas are temporary in nature and also non-immigrant type. Generally, it applies to foreigners, who wish to attend educational, business, scientific or professional conventions or conferences, for consultation with business associates, negotiating contracts or settling an estate. There is no dependent visa category associated with this Business Visa. The main advantage of the non-immigrant visa over the visa waiver program is the status change option that they get. Under this, such persons can apply for a permanent residence if they qualify for student visa (F1) or temporary workers visa (H1B, H2B, E1,E2 and E3). No restrictions on your entering the US such as no criminal background. One can stay in the United States with this visa up to a maximum period of six months, after which one can request for a visa extension. At the point of entry into the US an immigration officer normally decides how long each person can stay in the country. As a B1 Business Visa holder, you can apply for a work visa like US H1B visa or H2B visa if you wish to work in this country.